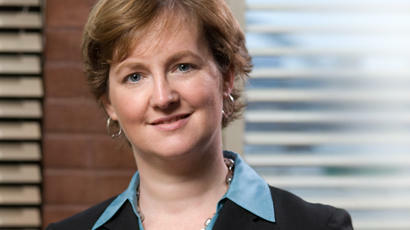 Our lawyer of the week is Fidelma Fitzpatrick of the law firm of Motley Rice. Fidelma with her excellent team of lawyers and staff won one of the most important cases impacting the public ever litigated. As a result of her hard and tenacious work, Three companies have been ordered by a California judge to pay $1.1 billion to remove lead-based paint from homes inside Los Angeles County. The three companies sold the paint to consumers before it was banned in 1978, and the lawsuit alleged the companies are liable for exposing consumers to a known poison. Ten California cities and counties filed the lawsuit which went to trial in July. There are nearly 5 million, mostly low-income homes which could be affected by the poisonous paint. Fidelma was highlighted in the 2013 Litigation edition of The Legal 500 United States for her work in mass tort and class action: plaintiff representation- toxic tort. In recognition of her legal work on the Rhode Island lead paint case, Rhode Island Lawyers Weekly named Fidelma a 2006 Rhode Island Lawyer of the Year, and she was a 2006 finalist for the Public Justice Foundation’s Trial Lawyer of the Year award. 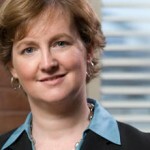 In 2010, The National Trial Lawyers named her one of its Top 100 Trial Lawyers™ in Rhode Island. Fidelma has been selected by her peers for inclusion in the 2008 and 2010–2013 editions of New England Super Lawyers® and Rhode Island Super Lawyers®. She has also been listed every year since 2008 in The Best Lawyers in America® for her work in mass tort litigation/class actions- plaintiffs.